Teenager Suresh Raina struck a valiant 81 not out on Friday as India overcame an early collapse to beat England by four wickets in the second limited-overs international. Raina and Mahendra Dhoni (38) combined for a 118-run, sixth-wicket partnership to help India recover from a 92-5 slump and overhaul a 227-run victory target to lead the series 2-0. Earlier England, too, suffered a mild collapse and owed their score to half-centuries from Kevin Pietersen (71) and opener Andrew Strauss (61), the only batsmen to defy India offspinners Ramesh Powar (3-34) and Harbhajan Singh (1-43). Kevin Pietersen (71) passed 1,000 career runs in just his 21st innings, to tie Viv Richards' record. Andrew Flintoff is hoping to mark his 100th one-day international by leading England to victory over India. But they go into Friday's game 1-0 down after throwing away the chance of winning the series opener in Delhi with a series of rash strokes. And the team will be in unfamiliar surroundings after deciding not to have a practice session in Faridabad. England could give the side beaten in Delhi a chance to redeem themselves, although Matthew Hoggard is eager to play his first one-dayer for more than a year after taking a break following the Test series. It was the batting, however, which let England down in the first match and they cannot afford a repeat on what is expected to be another slow pitch. Fletcher dismissed suggestions that Flintoff and Kevin Pietersen were guilty of trying to out-do each other in terms of big-hitting. Flintoff will be only the 11th England player to make 100 one-day appearances, but it is his excellent response to taking over the captaincy mid-tour, which has really impressed Fletcher. There is a ray of hope for England in the fact that India have only won once in five previous games at the Nahar Singh Stadium, failing to defend a score of 274-6 against Zimbabwe in their last appearance there four years ago. The home side will make a late decision on the fitness of all-rounder Irfan Pathan, who is suffering from flu. If Pathan is ruled out, paceman Munaf Patel could make his one-day debut, or they could turn to Ramesh Powar, an off-spinner and useful batsman. Opener Virender Sehwag will definitely play even though he is still receiving treatment for a back problem. India (from): RS Dravid (Captain), V Sehwag, G Gambhir, Yuvraj Singh, M Kaif, SK Raina, MS Dhoni, IK Pathan, YV Rao, MM Patel, S Sreesanth, Harbhajan Singh, RR Powar, RP Singh. England (from): A Flintoff (Captain), K Ali, JM Anderson, GJ Batty, IR Bell, ID Blackwell, PD Collingwood, MJ Hoggard, GO Jones, SI Mahmood, KP Pietersen, LE Plunkett, MJ Prior, OA Shah, VS Solanki, AJ Strauss. Harbhajan Singh celebrated his comeback with a superb all-round show to guide India to a 39-run victory over England in the first one-dayer on Tuesday. The off-spinner, who missed a one-day series in Pakistan last month due to a finger injury, finished with 5-31 as India defended their modest total of 203 by dismissing England for 164. England were comfortably placed at 117-3 before losing their last seven wickets for 47 to concede a 1-0 lead in the seven-match series. Man of the Match Harbhajan was also India's batting hero, top-scoring with a gutsy 37 on a bowler-friendly pitch. He eventually upstaged England seamer Kabir Ali, who took 4-45 for his maiden international four-wicket haul. Kaif, who was dropped from India's Test side despite his 91 in Nagpur, hit two sixes and 11 fours in an unbeaten 119 to lead a Rajasthan President's XI to 260-6 in Jaipur. In return England (256) lost their last wicket in the last ball, still needing 5 runs to win. Bell top scored with 71. Last 4 Overs: 1 2 W . 1 . | . W 1 1 2 2 | 1 6 1 W 1 1 | . 2 1 6 .W One-day match, Jaipur: Rajasthan President's XI 260-6 (50 overs) bt England 255 (all out, 49.5 overs) England: V S Solanki (Captain), M J Prior (Wicket Keeper), O A Shah, K P Pietersen, I R Bell, I D Blackwell, L E Plunkett, G J Batty, Kabir Ali, J M Anderson, S I Mahmood. RCA President's XI (from): G Gambhir, P A Patel (Wicket Keeper), S K Raina, M Kaif, Y V Rao, A Jadeja (Captain), Jaydev Shah, R R Powar, V R Singh, Piyush Chawla, R P Singh. England won by 212 runs in Mumbai for their first victory in India for 21 years to tie the Test series. Shaul Udal took four wickets for 14 runs to bowl the home side out for 100 in mid-afternoon on the final day. Needing 313 to win, India crashed from 75-3 at lunch, with Udal dismissing Sachin Tendulkar for 34 and having last man Munaf Patel caught in the deep. Andrew Flintoff triggered the collapse by having captain Rahul Dravid caught behind and finished with 3-14. England have their sights on a win in Mumbai to tie the series after setting India a massive 313 in the third Test. Stand-in opener Irfan Pathan fell to James Anderson in an eight-over period before stumps to leave India on 18-1. Andrew Flintoff hit 50, sharing a stand of 66 with Paul Collingwood (32), as England totalled 191 in their second innings after refusing to declare. Spinner Anil Kumble bowled 28 overs in the day and had Flintoff stumped on his way to figures of 4-49. Only four sides have won a Test batting fourth at the Wankhede Stadium, with the 163 attained by South Africa six years ago the highest target achieved. No team has ever scored more than 276 to win a Test in India and the home side's chances did not look good when Pathan played on to an Anderson full toss. James Anderson and Geraint Jones combined to give England the upper hand in the third Test against India. The tourists will take a lead of 152 into the fourth day in Mumbai despite losing Andrew Strauss and Ian Bell cheaply as they closed on 31-2. Anderson had two chances dropped off his bowling but took 4-40 and produced a direct hit to run out Mahendra Dhoni, who smashed 11 fours in his 64. Jones supported his bowlers with five catches as India were all out for 279. It left them 121 in arrears, but could have been far worse but for a ninth-wicket stand of 55 between Anil Kumble and Sri Sreesanth. England produced a solid performance in Mumbai (Bombay) to leave India 89-3 chasing the tourists' score of 400. Owais Shah (88) and Andrew Flintoff (50) both did well with the bat on day two although Flintoff was dropped off successive balls from Munaf Patel. England's seamers were impressive when India batted and Matthew Hoggard removed both openers in a fiery spell. James Anderson then trapped Sachin Tendulkar , who edged a wide ball to the keeper and departed for a single. The one blemish for England was the loss of five wickets either side of lunch, which resulted in a collapse from 326-3 to 356-8. Young paceman Sri Sreesanth triggered that demise for excellent figures of 4-70 in only his second Test appearance. But in the final session, England's seamers did what India's had twice failed to do - take wickets with the new ball. Hoggard was in his element and he first struck when Sehwag, not for the first time in the series, failed to get his gloves out of the way of a short-pitched ball which then looped into Shah's lap at first slip. Tendulkar was in no frame of mind to end a worrying run of failure in Tests and he was the next man out when Anderson, working up good pace, had him taken by Jones. At 28-3, India were gasping for a recovery and the dependable Dravid found a partner willing to play a few shots in Yuvraj Singh. Andrew Strauss ended a run of low scores in the sub-continent to hit 128 and guide England to 272-3 on the first day of the third Test against India. Strauss put on 106 with debutant Owais Shah and 72 with Kevin Pietersen after India captain Rahul Dravid had surprised many by opting to bowl first. Shah was only playing because of an illness suffered by Alastair Cook. India - too many good players to select from! India captain Rahul Dravid admitted that it would be difficult to decide who to leave out after his team sealed an emphatic nine-wicket win in Mohali. Meanwhile, the India selectors were quick to announce an unchanged squad of 15 for the final Test in Mumbai beginning on Saturday, with batsmen VVS Laxman and Mohammad Kaif, plus pace bowler Sri Sreesanth hoping for a return to the side. Veteran spinner Anil Kumble was named Man of the Match after taking nine wickets and he is hoping his impressive display will earn him a recall to the one-day squad. India (from): R Dravid (Captain), V Sehwag, W Jaffer, S Tendulkar, VVS Laxman, M Kaif, Yuvraj S, M Dhoni (Wicket Keeper), I Pathan, S Sreesanth, A Kumble, Harbhajan S, RP Singh, M Patel, P Chawla. Virender Sehwag (76*) and Rahul Dravid (42*) took India to victory, stitching together an unbeaten partnership for the second wicket, taking India to 144 for 1 and a 9 wicket victory over England. Munaf Patel was the hero in the morning with three quick wickets which sent the tourists tumbling to 181 all out from an overnight position of 112-5. Set 144 to win, India lost one wicket with the score on 39, but Rahul Dravid and Virender Sehwag guided them home. Andrew Flintoff took the key wicket of Sachin Tendulkar and Yuvraj Singh fell late on as India finished day three 151 behind at 149-4 in the second Test. Earlier, Anil Kumble became the first Indian to claim 500 wickets but the hosts' celebrations were cut short as they lost four of their top order batsmen to some spirited fast bowling by England in the second cricket Test today. The Kumble-inspired Indians did well to bowl out the visitors for 300 in their first innings before wobbling to 149 for four at the end of the third day, leaving the match delicately poised. Kumble took three wickets in four balls to wrap the English innings. At close, skipper Rahul Dravid was batting on 60 with four fours during a 147-ball effort while Mahendra Singh Dhoni was on 12 with two fours on the only day of the match when weather did not cause an interruption. A draw between England and India looked likely after rain ended day two of the second Test with just 87 balls bowled. In the first hour, England moved from their overnight 163-4 to 200-5, with Andrew Flintoff reaching 26 not out. India spinner Anil Kumble took his 498th Test wicket when he dismissed Paul Collingwood for the first time in the series, bowling him for 25. Geraint Jones had 20 deliveries to make an unbeaten seven with a boundary off the veteran spinner. But with more rain forecast over the next two days, the sides look set to go into the final Test deadlocked at 0-0 in the series. Flintoff and Collingwood both got off the mark for the day to the first ball they faced. But they added just 13 runs in the first half-hour of play, attempting to lay firmer foundations than the side had established on the opening day. 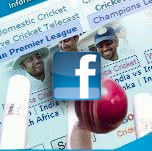 Three boundaries came off paceman Munaf Patel, Flintoff driving one particularly fine shot down the ground. Kumble, though, offered a tough examination, beating Collingwood's forward defensive with a delivery that turned slightly and bounced, hitting the top of middle stump. Only when joined by Jones did Flintoff take any risks, and he was lucky when a chip off Kumble landed just fine of the mid-on fielder. England failed to build on some good foundations against India on a disrupted first day in the second Test. More than two hours were lost to the weather as the tourists limped to 163-4 after winning the toss in Mohali, with Kevin Pietersen's 64 the highlight. He and Ian Bell (38) put on 81 before Bell fell to Anil Kumble and debutant Munaf Patel snagged Pietersen late on. Irfan Pathan dismissed openers Andrew Strauss (18) and Alastair Cook (17) in successive overs before lunch. Once stand-in captain Andrew Flintoff called the toss of the coin correctly for the second time in this series, England knew they must build a big total. Kumble was one of three spinners in the India side, including debutant Piyush Chawla, at 17 the second-youngest debutant ever for India. With Sri Sreesanth suffering from a virus, they handed pace bowler Patel his first cap and brought batsman Yuvraj Singh back from injury, replacing Mohammad Kaif and VVS Laxman. Meanwhile England replaced one of their slow bowlers, Ian Blackwell, with an extra seamer in Liam Plunkett. India have prepared two wickets for Thursday's second Test in Mohali and are keeping England guessing as to which one they will choose. One is a lush green and would suit seam bowling whereas the other is cracked and dry and would be conducive to spin. India captain Rahul Dravid has not let the cat out of the bag and said he was considering playing a fifth bowler. Mohali only became a Test ground in 1994 and in the past has been batting-friendly with high scores. England have played there only once, in 2001, and were thrashed by 10 wickets. Hoggard will win his 50th Test cap at Mohali and said: "It means a lot to me...I only ever look to the next game, so it is a big honour for me to be selected for 50. India have named a 12-man squad and left out batsmen Mohammad Kaif and VVS Laxman and young pace bowler Sri Seethanth is unfit to play because he is suffering from a flu virus. India look set to hand a Test debut to fast bowler Munaf Patel. The 22-year-old took 10 wickets against England in a three-day tour match last month. Yuvraj Singh returns to the line-up after missing the first Test with a hamstring strain and the final spot will go to either fast bowler RP Singh or spinner Piyush Chawla. England will have to decide whether to play two spinners or bring in a seam bowler, with Liam Plunkett favourite to land his second Test start. India (from): Rahul Dravid (Captain), Virender Sehwag, Wasim Jaffer, Sachin Tendulkar , Yuvraj Singh, Mahendra Dhoni (wicketkeeper), Irfan Pathan, Munaf Patel, Harbhajan Singh, Anil Kumble, Rudra Pratap Singh, Piyush Chawla. England (from): Andrew Flintoff (Captain), Alastair Cook, Andrew Strauss, Ian Bell, Paul Collingwood, Kevin Pietersen, Geraint Jones, Ian Blackwell, Shaun Udal, Matthew Hoggard, Stephen Harmison, Monty Panesar, Liam Plunkett, Matthew Prior, Owais Shah and James Anderson. India have recalled batsman Yuvraj Singh for the second Test against England in Mohali. The left-hander missed the drawn first Test because of a hamstring strain suffered during India's recent one-day series in Pakistan. He replaces Suresh Raina in the squad for the game, starting on Thursday. The other change sees paceman Munaf Patel given a chance after taking 10 wickets for an Indian Board President's side against England last month. Patel, reputed to be one of the fastest bowlers in Indian cricket, is preferred to Vikram Rajvir Singh, who did not make the final XI at Nagpur. Meanwhile, More reaffirmed that veteran and former captain Sourav Ganguly would no longer be considered for selection. India squad: Rahul Dravid (Captain), Virender Sehwag, Wasim Jaffer, Sachin Tendulkar , VVS Laxman, Mohammad Kaif, Yuvraj Singh, Mahendra Dhoni (wicketkeeper), Irfan Pathan, Sri Sreesanth, Anil Kumble, Harbhajan Singh, Rudra Pratap Singh, Munaf Patel, Piyush Chawla. Wasim Jaffer completed a maiden century as the first Test between England and India ended in a thrilling draw. The teams shook hands when the umpires offered the light to the Indian batsmen with their score on 260-6, still 108 short of their target. There had been little sign of what was to come as Jaffer and Rahul Dravid (71) put on 167 in orthodox fashion. But the game burst into life after tea as India produced a charge before accepting the task was beyond them. Irfan Pathan smashed 35 off 25 balls and Sachin Tendulkar took three fours off an over from Ian Blackwell with some audacious strokeplay. But the dangerous Mahendra Dhoni failed to sparkle and when he and Harbhajan Singh were dismissed in successive overs from Steve Harmison, India sent out VVS Laxman to shut up shop. Matthew Hoggard (30.5 13 57 6 and 16.0 7 29 1) was declared the man of the match. Alastair Cook marked his Test debut with a patient century as England built a 367-run lead in Nagpur. Cook reached his hundred off 236 balls and was 104 not out at the close after he and Kevin Pietersen (87) made India pay for their fielding lapses. Three catches were dropped during the day as England reached 297-3 after bowling out the home side for 323. Matthew Hoggard ended India's innings by having Sri Sreesanth lbw to finish with figures of 6-57. Steve Harmison and Monty Panesar took vital late wickets on day three as England revived their hopes of winning the first Test against India in Nagpur. Matthew Hoggard claimed a five-wicket haul as England prospered at both ends of the third day in the Nagpur Test. Yorkshire swing bowler Hoggard, so often England's unsung hero, struck three times in his opening three overs to unhinge the Indian top order and struck again early in the middle session to reduce the home team took to 190 for seven. Although they had not reached the follow-on target at that juncture, a 128-run stand, equalling the highest for an Indian eighth-wicket pair against England, between Mohammad Kaif and Anil Kumble redressed the situation. With England still leading by 71 runs, they are the team with the advantage. England's Paul Collingwood hit a fine maiden Test century before Indian pair Wasim Jaffer and Rahul Dravid put the hosts back on top in Nagpur. Jaffer (73 not out) and Dravid (40, also unbeaten) led the hosts to a solid score of 136-1 at stumps on day two after England had finished on 393. Earlier, Collingwood, who started the day on 53 in a score of 246-7, had rescued a dire situation for England. The Durham ace helped put on 126 for the last two wickets with Steve Harmison (39) and Monty Panesar (9). Panesar then bowled two overs before tea and gave opening batsman Wasim Jaffer (28 not out) a torrid time. After lunch Collingwood hit his fourth and final six when smashing Irfan Pathan back over his head. His 66-run partnership with Panesar finally ended when Sreesanth had England's numer 11 lbw with a yorker. The tourists only had to wait until the third over for their first wicket when a flat-footed Sehwag drove a slower delivery to an elated Kevin Pietersen at cover. England squandered the chance to seize the initiative after winning the toss in Nagpur as they stumbled to 246-7 at the end of the first day's play. Debutant Alastair Cook (60) and Paul Collingwood each hit half-centuries but a number of promising partnerships were nipped in the bud by India. The most valuable stand was one worth 67 between Collingwood (53 not out) and stand-in captain Andrew Flintoff (43). Left-arm seamer Irfan Pathan took three wickets for the hosts. Early on, England were impressive. Flintoff, taking over as captain in the absence of Michael Vaughan and Marcus Trescothick, looked visibly relieved to have called correctly after the toss. Openers Cook and Andrew Strauss were into their stride quickly. India broke through just after the hour mark with the total on 56 when Sreesanth, with the seventh ball of his second spell, ended Strauss' innings on 28. The Middlesex man drove at a wide ball which flew at pace towards VVS Laxman's throat. The fielder reacted swiftly to take the catch. Pathan, bowling with the second new ball, got one to straighten a little but although it may have flicked pad before bat, it seemed to be missing off stump. As the shadows lengthened, Collingwood hit the day's only six by mowing Kumble over mid-wicket. But India went into the dressing-room by far the happier of the two sides - particularly after Blackwell had inside-edged Pathan onto his stumps via a flat-footed drive. England captain Andrew Flintoff won the toss and elected to bat against India in the first cricket Test in Nagpur. Kerala pace bowler S Sreesanth was awarded his first Test cap and he will share the new ball with Irfan Pathan. Mohammad Kaif made a comeback to the Test team. England named three debutants in their playing eleven, including left-arm spinners Ian Blackwell and Monty Panesar, and left-hand batsman Alastair Cook. 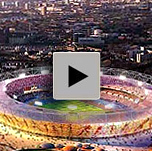 The 23-year-old Panesar, who plays for Northamptonshire, is the first Sikh to play for England. Blackwell has played 28 one-dayers, while the 21-year-old Cook was called back from his duties with the England 'A' team in the West Indies as cover up for a few injured players. It is the first time that Andrew Flintoff is leading England in a Test. He was handed the responsibility after regular captain Michael Vaughan had to return home due to injury. India: Rahul Dravid (Captain), Virender Sehwag, Wasim Jaffer, VVS Laxman, Sachin Tendulkar , Mohammad Kaif, Mahendra Singh Dhoni, Irfan Pathan, Harbhajan Singh, Anil Kumble and Sreesanth. England: Andrew Flintoff (Captain), Andrew Strauss, Alastair Cook, Kevin Pietersen, Paul Collingwood, Geraint Jones, Ian Blackwell, Matthew Hoggard, Steve Harmison and Monty Panesar. India recovered from a weak position to pull off a convincing 23-run win over England in the third one-day game of the NatWest Challenge. India had faltered to 204 all out as Steve Harmison took a career-best 4-22. Sourav Ganguly posed the only real resistance with his aggressive 90 along with Rahul Dravid, who added 52. England were then reduced to 62-6 by India's pace bowlers but Michael Vaughan (74) and Ashley Giles (39) rallied before another late collapse. It was scant consolation for India with the three-match series already won by England. India 204 all out (49.3 overs) beat England 181 all out (48.2 overs) by 23 runs. England rode on the back of another thrilling Andrew Flintoff innings to thump India at The Oval by 70 runs. It gave them a 2-0 lead in the NatWest Challenge with just one match to come and it was the first time they had won batting first since February 2003. Flintoff (99) and Paul Collingwood (79 not out) put on 174 in partnership, an England record for the fifth wicket. England's 307-5 was far too good for India, and Darren Gough and Ashley Giles were the stars with the ball. A Steve Harmison hat-trick and an impressive debut from Alex Wharf propelled England to a big seven-wicket win over India at Trent Bridge. Set 171 to win the opening game of the NatWest Challenge, England cruised home in the 33rd over with Vikram Solanki striking a half-century. But England won the game with the ball, Wharf taking three wickets in his first three overs to return 3-30. Harmison took the last three wickets to claim England's second ODI hat-trick. Andrew Strauss, who remained unbeaten on 41, was happy to take a back seat as England took a 1-0 lead in the three-match series and cast their wretched NatWest Series campaign to distant memory. The England cricket team represents England and Wales, and operates under the auspices of the England and Wales Cricket Board (ECB). 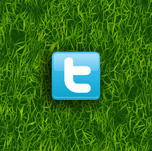 The sport of cricket was invented in England, and England is a founding Test cricket and one-day international nation. England played in the first Test match in 1877 (against Australia in Melbourne) and also the first one-day international in 1971 (also against Australia in Melbourne). England has been one of the most dominant teams in international cricket, fielding a strong side for most of cricket's history. This dominance began to fall away in the 1980s as England was overshadowed by Australia, the West Indies, India, Pakistan and South Africa. Since 2000, English cricket has seen a resurgence and the team is now ranked second after Australia in the ICC Test cricket ratings. 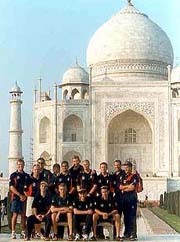 In Photo: The visiting England Cricket Team (2002) in front of the Taj Mahal.